The dramatic increase of information about China’s early past made possible by archaeological discoveries in the past thirty years has made Early China a reemerging new field of knowledge. The “Tang Center Series in Early China,” sponsored by the Tang Center for Early China at Columbia University, and published by Columbia University Press, presents works that reflect this development. The series includes new studies that make major contributions to our understanding of early Chinese civilization or that which break new theoretical or methodological grounds in Early China studies. The series is especially interested in publishing works that analyze newly discovered paleographic and manuscript materials as well as archaeological data. Disciplinary focuses of the series include history, archaeology, art history, anthropology, literature, philosophy, and the history of sciences and technology. The time period covered by the series spans from the Neolithic to the end of the Han Dynasty (AD 220), or to the end of the Tang Dynasty (AD 907) for titles in archaeology. The series allows the generous inclusion of maps and illustrations, as well as archaic Chinese characters as necessary to explain the content of the text. All submissions are through Tang Center for Early China, and subject to peer review and editorial evaluation. Interested authors should submit a book proposal (maximum 25 manuscript pages), accompanied by CV, to: info@tangcenter-columbia.org, or by mail to: 1140 Amsterdam Avenue, 509 Kent Hall, MC 3907, Columbia University, New York City, NY 10027. Please see the proposal guidelines here. Do not summit the full manuscript until requested by the Tang Center. 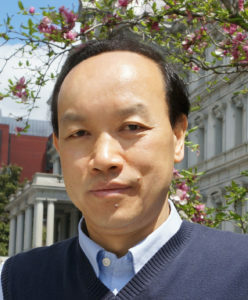 Li Feng is Professor of Early Chinese History and Archaeology in the Department of East Asian Languages and Cultures. He is the author of Landscape and Power in Early China: The Crisis and Fall of the Western Zhou 1045-771 BC (Cambridge 2006), Bureaucracy and the State in Early China: Governing the Western Zhou (Cambridge 2008), Early China: A Social and Cultural History (Cambridge 2014), co-author of A Study of Shang-Zhou Bronzes from Daijiawan and Shigushan (Academia Sinica, 2015), and co-editor of Writing and Literacy in Early China (Washington 2011). He is the Faculty Director of the Tang Center for Early China at Columbia University. 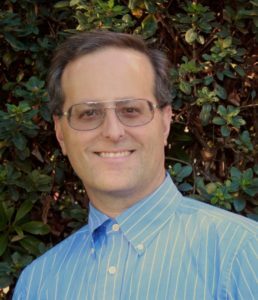 Anthony Barbieri-Low is Professor of Early Chinese History at the University of California, Santa Barbara, specializing in the social, legal, economic, and material-culture history of early imperial China. His first book, Artisans in Early Imperial China (2007), was awarded numerous international book prizes. His is also the co-author (with Robin D.S. Yates) of Law, State, and Society in Early Imperial China (2015) and the exhibition catalog Recarving China’s Past (2005) with Cary Liu and Michael Nylan.